Looking for some ways to welcome Spring? 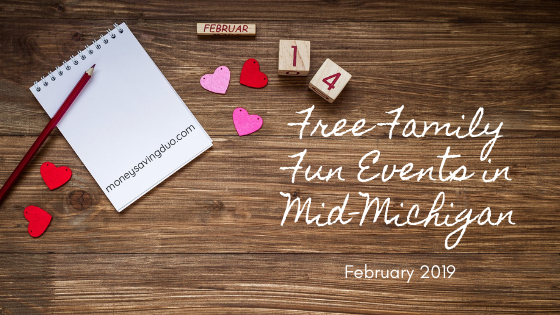 We’ve got you covered all March long with our list of FREE family fun events happening throughout Mid-Michigan. Calling all LEGO fans! Stop by your local Barnes & Noble for a special LEGO architecture build event on Saturday March 9th at 6pm! For those of you in mid-Michigan, Barnes & Noble is located in the Midland Mall. It’s time for another Kids & Culture event, this time at Off-Broadway Performing Arts Studio! Stop by Saturday March 9th between 10 am – 12 noon for a fun and free family-friendly event. Another great opportunity this month is a comedy magician show taking place at Plachta auditorium on Central Michigan University’s campus on Tuesday, March 12th at 7 pm. Trent James, the award-winning comedy magician, is sure to wow you, making this an evening of fun for everyone. Free to attend and open to the public. Not sure if this show is right for you? The video below will give you a sneak peek into a Trent James show. We’re told that March 12th is FREE pancake day at IHOP! Stop by and enjoy your free shortstack and, if you’re able, consider donating to help children battling critical illness while you’re there. And if you love free food, you might want to mark down March 20th on your calendar. We’re told that Dairy Queen will be serving up free ice cream cones that day, but haven’t been able to officially confirm it. Check with your local Dairy Queen to see if they will be participating. Stop by the Chippewa River District Library, Shepherd branch for Create, Make and Take Craft time on March 13th at 3:30pm. All materials will be provided – you just need to bring your creativity! 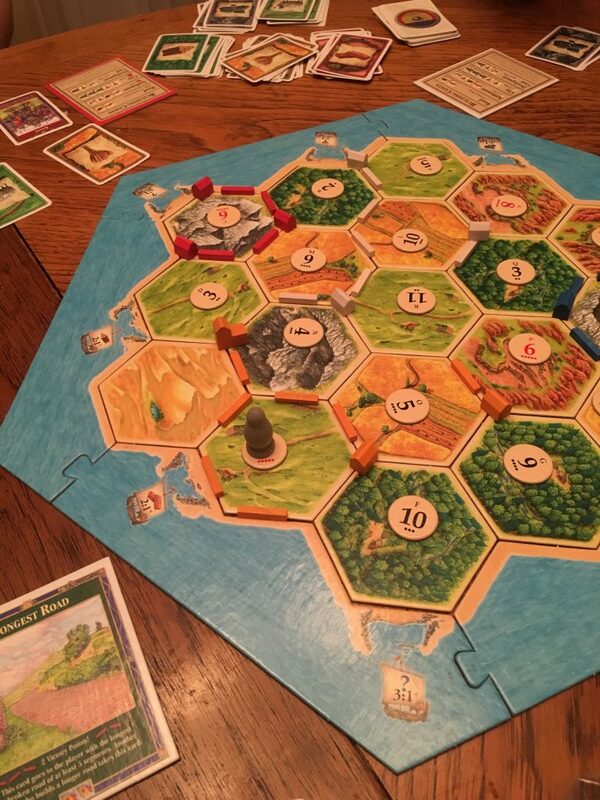 Grab your favorite board game and head on over to the Salvation Army in Alma on March 15th at 6pm for a free family game night! Movies will also be playing in the chapel. Looking for an opportunity to introduce your family to the orchestra? Creative 360 in Midland will be hosting the Midland Community Orchestra Small Ensemble and invites everyone to come and listen March 15th at 7pm. More details can be found on the Great Lakes Bay Parents website. Did you know that Michigan is one of the top maple syrup producers across the nation? In 2017 it was ranked as the 7th top producer of this sugary confection. On March 16th, your family can discover how maple syrup is made during Maple Syrup Day at the Chippewa Nature Center! The event is free for kids and members, but $5 for adults who aren’t members at this time. Stop by the Chippewa River District Library, Veterans Memorial campus for a rescheduled family date night featuring Kim Darst from Husky Haven Sled Dogs and her incredible story of racing in the Iditarod! Attendees will get the opportunity to see her sled gear and interact with one of her dogs! Be sure to arrive early to this event taking place March 17th at 2pm. Take a break from technology and stop by the “Pop” in carnival taking place at Finch Fieldhouse on Central Michigan University’s campus March 22nd from 6 – 8 pm. CMU’s Recreation, Parks and Leisure services RPL 430 class is partnering with Angel Wings to host a family-fun night where kids and adults can play classic carnival games like ring toss and mini bowling. Admission is free, but donations are encouraged to help support the local charity. Are there free family-fun events we missed? Share them in the comments or on our Facebook page. 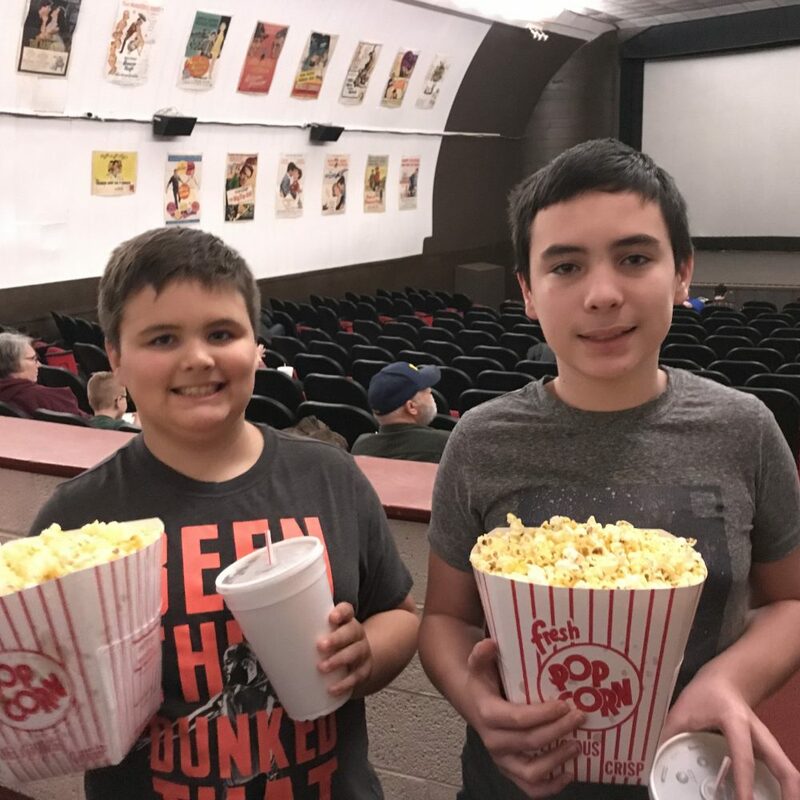 We love going to the movies, but by the time you buy tickets for the entire family, it can be a long term negotiation on what you can afford at the concession stand. As a result, we are always on the lookout for a great deal. A friend tipped us off to the Crystal Box Office in Crystal, MI as a suggestion. 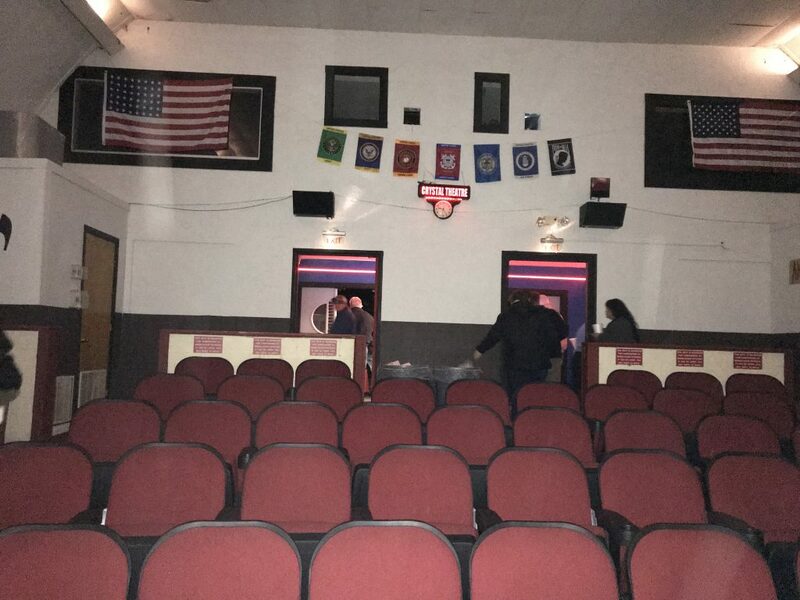 An affordable, single screen theater in a small town we had never stopped in before. We checked the schedule and saw that they were playing Aquaman around New Years. The boys and I were ready for an adventure to someplace new, and we set off to check it out. I had no idea what to expect. Maybe a small screen and long lines. But we arrived to find a parking space right in front of the theater and no wait to purchase our tickets at the old style booth that opened to the outside sidewalk. The tickets were only $4 each! Then we got inside and found a concession stand from a bygone era, filled with the fresh smells of popcorn and other treats. 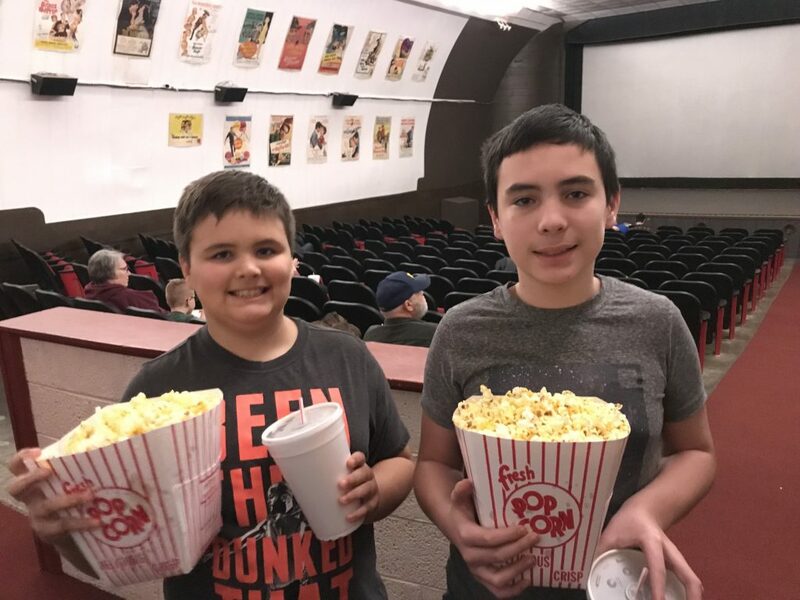 For $3 you could get a huge popcorn and fountain pop for a buck. We had the theater almost to ourselves and got a perfect spot toward the middle. The sound was great and the screen large. While we were enjoying the film we didn’t even remember that we were at a smaller theater. The building is a bit dated and the facility shows a little wear and tear, but it also gives it an old school charm. I would recommend this stop to anyone in the Central Michigan area looking for a fun, new spot to catch a flick on a budget. Although, you’ll want to check ahead to see if they are playing the movie you want on their only screen. For the most up to date listings and more information, visit their facebook page at facebook.com/crystalboxoffice. 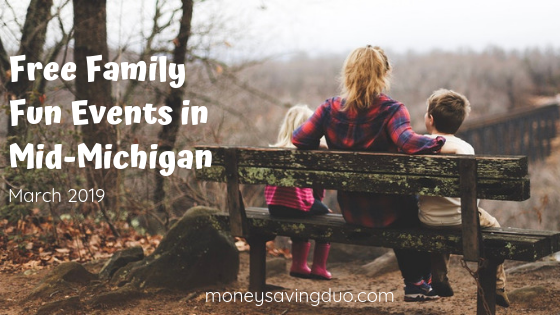 Looking for ways to have fun together as a family in Mid-Michigan without spending any money? We found multiple events in our area just for you! Explore Snow Snake’s tubing hill up in Clare on January 12th where kids can go tubing for free. Hot chocolate and snacks also provided 10 am – 12 noon. Snow Snake is also offering free introductory skiing lessons every Sunday this month beginning January 6th. If indoor activities are more your thing during the colder months of the year, then your family may be particularly excited for the Live Birds of Prey exhibition at the Chippewa Nature Center in Midland, MI January 13th. Kids can see a variety of birds up close at 1 and 3pm. Another indoor opportunity to check out is the 2019 Kids Day at the Midland Mall taking place January 26th. Get out of the cold and enjoy a variety of kid-friendly activities hosted at the mall in Midland. A mom-2-mom sale will also be taking place during the event. 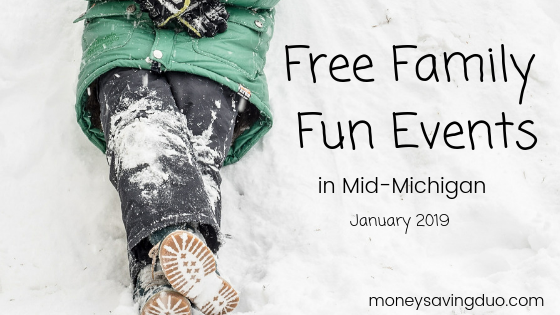 And while you’re in town, stop by the Midland City Forest where Midland is hosting it’s first MidWinter Chill event also on January 26th. Race a cardboard sled or enjoy watching all the participants compete. Stick around to watch a professional ice carver and eat s’mores by the campfire. A full itinerary can be found here. January is also a great month to take in some art with your littles. 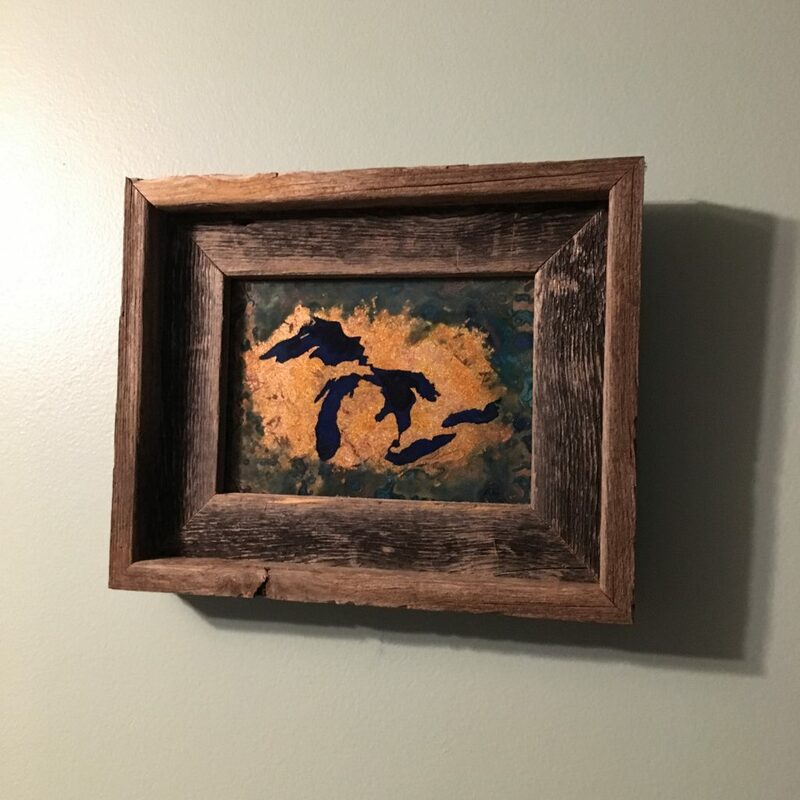 The Art Reach gallery will be featuring student art work from Bay, Midland, Isabella, Roscommon, Clare, Gladwin, Arenac and Ogemaw County schools. The traveling Michigan Art Education Association exhibit will be on display January 7th-January 31st. This January is sure to fly by with all these great opportunities to have a little family fun available throughout the month. Which activity are you most excited about? The city can be expensive. 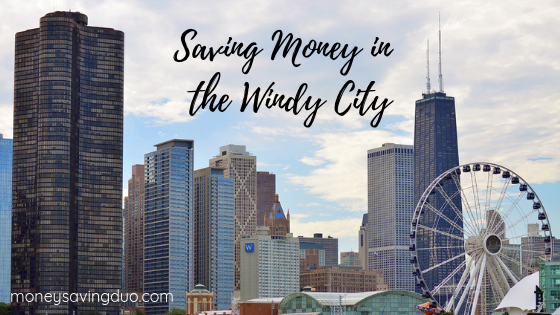 Before you plan your next adventure, consider implementing some of our money saving tips that helped us save over $800 on our latest weekend trip to Chicago. Our family loves to visit Chicago. It takes us about four hours to drive there, but it is always worth the trip. From deep dish pizza to some of the best museums and attractions in the country, its one of our favorite cities. But when we travel, we always look for ways to save as much money as we can. This trip alone would have easily cost over $800, but we were able to save that and catch many of the best attractions for free on our weekend trip. We thought these tips may come in handy for others looking to visit Chicago for the weekend. 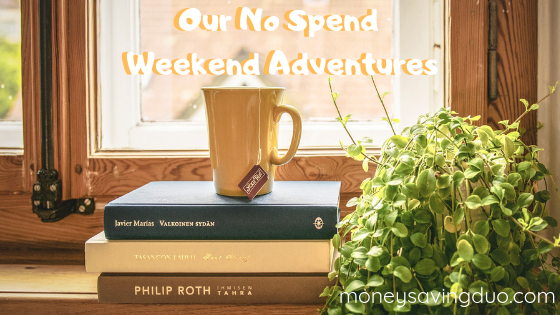 Three money saving travel tips from the Money Saving Duo! Utilize credit card reward points to score free hotel stays. Aaron and I are IHG reward members and we use our IGH Chase credit card on everyday purchases like groceries and gas to redeem points. These points can, in turn, be used to redeem free hotel stays. Members also receive a free hotel stay each year they are members. We advise that you consider a rewards credit card only if your everyday expenses are consistent and you can pay the card off each month to avoid fees. There have been times in our past when we wouldn’t have trusted ourselves with a credit card for points. It can be tempting to carry a balance forward at the end of the month. But we’ve been diligent to pay the card down to zero at every paycheck and treat every charge as if it were coming from our checking account. Pack snacks and breakfast items in case your hotel doesn’t have free breakfast. Ideally, we try to choose hotels that offer a free breakfast to maximize our savings; however, that isn’t always an option. For example, the Intercontinental Hotel we stayed at on the Magnificent Mile did not offer a complimentary breakfast, so we packed our own and combined it with some of our leftovers from dinner the night before. Pro tip: If you have an IHG membership like us, the Holiday Inn Express always offers a complimentary breakfast, while a traditional Holiday Inn often does not. Take advantage of reciprocal memberships. If you’ve ever wanted to explore the museums or zoos in a city you visit, consider purchasing a membership at your local museum or zoo first. We purchased a family membership to the Aldon B. Dow Museum of Science & Art in Midland, MI, which not only gets us into this museum, but into many museums across the country at no additional cost or at a reduced rate. In Chicago, our reciprocal membership got us into the Field Museum and the Museum of Science & Industry for free! Check with the membership desk at your local zoo or museum for details. Be willing to walk. Parking can be expensive in the city, so if you are able to walk you can save quite a bit of money. We often find that if we’re willing to travel a few extra blocks from wherever we are trying to go, the price of parking is often lower. Use a Parking App to find cheaper rates. Another great way to save money in the city? Use a parking app that pinpoints parking fees so you can choose the lowest rate as close to your destination as you can. The app we use is called BestParking, but depending on where you are traveling, some apps may work better than others. Garages use the app to attract drivers for remaining spots. You can often pay a fraction of the rate listed on the building. Do you love to travel? What are some of your favorite ways to save money while visiting destinations across the globe?